77% of people can roll their tongue. 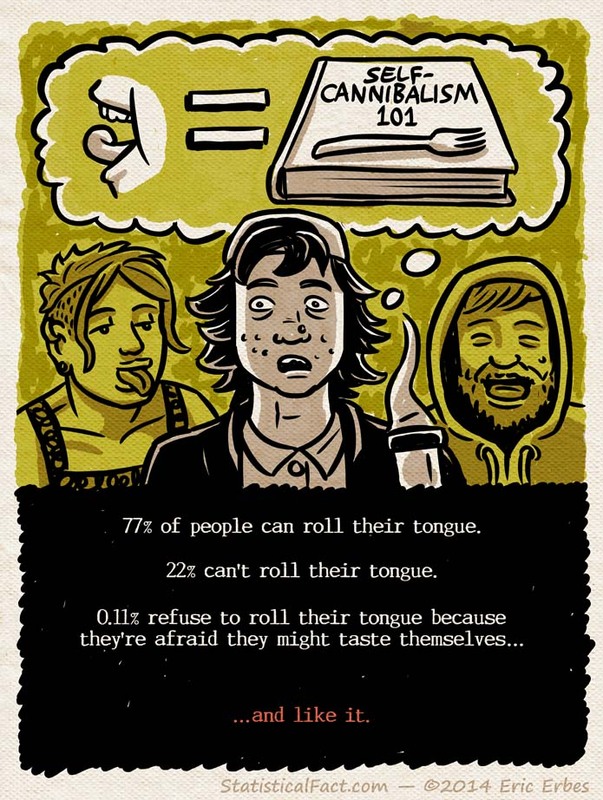 22% can’t roll their tongue. 0.11% refuse to roll their tongue because they’re afraid they might taste themselves… …and like it.